John Paul Scally, CEO, Lidl Ireland will be the keynote speaker at the 22nd Northern Ireland Food and Drink Association (NIFDA) annual dinner. The event, taking place in partnership with Danske Bank, is on Thursday 15th November in Hilton Belfast. Over 260 people will attend the dinner, which is an opportunity for food and drink industry leaders to discuss how the industry and its customers can grow. 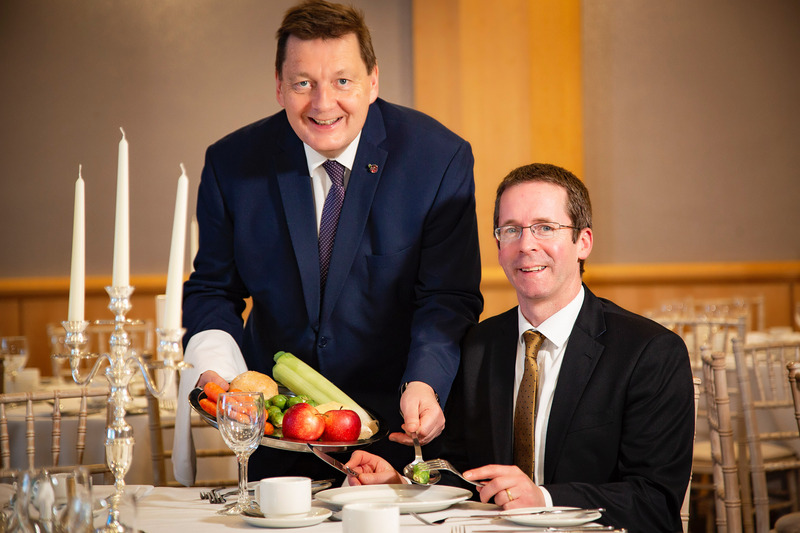 “Lidl has been an enthusiastic supporter of Northern Ireland food and drink for many years, so we are delighted to welcome CEO John Paul Scally as our keynote speaker. NIFDA first met with Lidl in 1999, when there was just one single store on the island of Ireland. Since then, the business has experienced a meteoric rise – and we’re delighted that our industry has played a part in the growth of the brand here. “Danske Bank is committed to supporting our local food and drink sector and we are once again delighted to support the annual NIFDA dinner. “Despite the uncertain times that we are living in, we continue to be inspired by this industry and its drive to bring new, innovative products to the marketplace. From smaller artisan brands, to bigger corporates, innovation is hardwired into the industry locally, and it is this innovation that should help the industry navigate through 2019 and beyond.